A VEGETATION fire burning near Sandy Creek is being monitored closely by emergency crews. 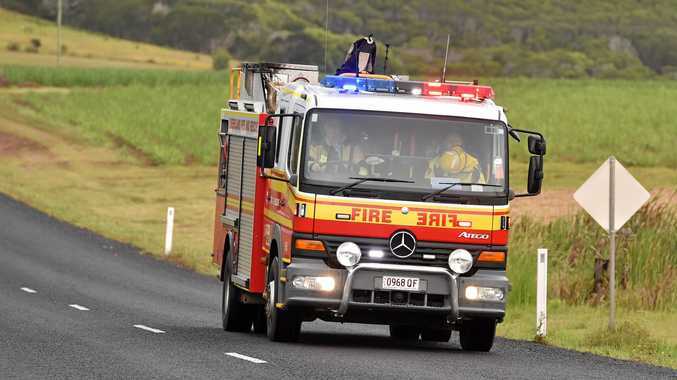 According to Queensland Fire and Emergency Services, the fire broke out at about 6.45am in the vicinity of Sandy Creek Rd. QFES said the fire is burning in inhospitable terrain and is not presently a threat to any properties in the area, although a large amount of smoke is visible in the area. Sandy Creek residents are advised to keep their windows and doors closed, and people with respiratory conditions should keep their medication nearby. The advise any resdients who feel their property may be under threat to please call 000.